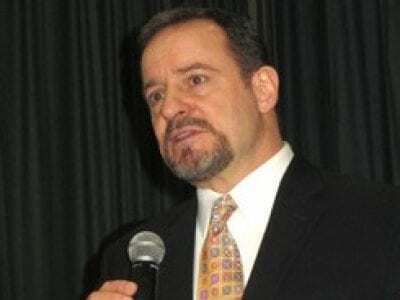 Dennis Creedon will be leaving the Mahopac School District next June. 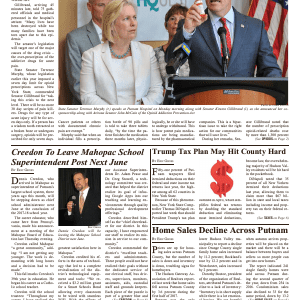 Eric Gross Dennis Creedon, who arrived in Mahopac as superintendent of Putnam’s largest school system, three years ago this month, will be stepping down as chief school administ… Please login below or purchase a subscription to the Putnam County Courier to access this content. Fifty-one percent of Putnam taxpayers filed itemized deductions on their federal and state income tax returns last year, the highest among all 62 counties in New York State. 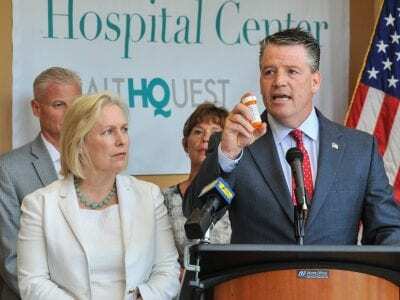 Because of this phenomenon, New York State Comptroller Thomas DiNapoli re… Please login below or purchase a subscription to the Putnam County Courier to access this content. Prices are up for housing sales across Putnam County, but the number of sales is down and inventory is down, troubling signs for homebuyers. The Hudson Gateway Association of Realtors reported last week that home sales fell across Putnam County by 3…. Please login below or purchase a subscription to the Putnam County Courier to access this content. Despite repeated warnings by law enforcement and widespread advertising regarding buckling up children whenever in a vehicle, the number of arrests last weekend for motorists failing to heed the warning was alarming. State Police conducted two detail… Please login below or purchase a subscription to the Putnam County Courier to access this content. Joining BHS Chief Naval Science Instructor Chris Vlangas are (l-r) Colton Booth, Kevin Cottiers, Tyler Speed, Jack Blando and Angelo Coschignano. Eric Gross The Brewster High School Class of 2017 was a patriotic group of young men and women with nine… Please login below or purchase a subscription to the Putnam County Courier to access this content. Yup, Shoulda’ Bought The House With The Pool June 7-Aug 16 Music in the Parks, Free Lawn Concerts at Vanderbilt Mansion National Historic Site. More info: nps. gov/vama Mon July 10-Aug 18 Kent Public Library’s Summer session of Reading Buddies…. Please login below or purchase a subscription to the Putnam County Courier to access this content. Meet other local LGBT individuals to make connections and get to know each other on Monday, July 24 at 8 PM at the Cultural Arts Coalition’s Studio Around the Corner at 67 Main Street in Brewster. Light refreshments will be served. For more informat… Please login below or purchase a subscription to the Putnam County Courier to access this content.